Harnessing the Power of Peri-menopause, through Menopause & Beyond! 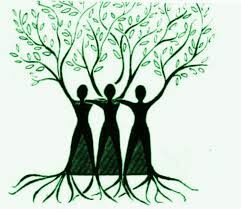 This women’s weekend is about embodying a new way of being for the second half of our lives – its about aligning ourselves with the natural changes in our bodies at this significant life transition and letting them flow in our favour! Its about harnessing the enormous potential of this portal and literally living the magic of it! In Chinese Medicine the perimenopause / menopause stage is known as our ‘Second Spring’, and with good reason – when we’re aligned with nature & aligned with our bodies natural way, we have all the creative potential, if not more, of the first youthful Spring of our lives. This weekend we’ll enjoy taoist women’s practises & ritual to help us embody this potential of rejuvenated sensuality, creativity, and self-empowerment. This naturally leads to enhanced health,& pleasure as well ,as increased potential to share our creative gifts with the world. Activating and strengthening our Water Element and the associated organs of Kidneys & Ovaries. Ultimate self-love with Qi Self Massage (including self breast massage for health & pleasure). A healing Jade Egg (sometimes referred to as Yoni Egg) ceremony – a powerful tool to enhance pelvic health and pleasure. Intention setting ceremony where we’ll programme our crystal eggs to help us journey towards or through this sacred portal with maximum good health, pleasure, self-empowerment & self fulfilment. Jade Egg practise for pelvic health, tone, strength, relaxation, dexterity & sensual & sexual freedom & confidence. We listen to our bodies always, and especially during the Jade Egg ceremony so there are of course no requirements as to whether we have or use a Jade Egg in the ceremony. You will benefit from the practises with or without using a crystal egg. However, should you wish to buy one there will be high quality, medium size Jade Eggs available over the weekend, so you get to feel the one that calls you! No experience of taoist women’s practises is necessary to participate in this weekend. All sessions are lovingly held and clearly guided. All women, whether approaching peri-menopause all the way through to post menopause will benefit from this gathering. Come embody the gifts of menopause. 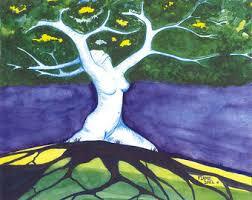 The world needs to witness healthy, self-empowered, creative & happy women in their Wisdom Years. This weekend is for YOU if you’d like to …. Take home potent practises which will serve you well for the whole 2nd half of your life! Connect with your deepest womb wisdom. Join with your sisters to re-frame the negative myths surrounding the menopause. Inspire your family, friends & children to know that a wonderful Transition IS possible. Empower yourself to live your best life ever as you journey towards or through the menopause. Feel rejuvenated, more alive and sensual! Simply enjoy an uplifting weekend with supportive like-minded sisters in a beautiful location with fabulous, nutritious food!! If you can’t find anything suitable, let us know in good time we may be able to help you with local accommodation. Women are forging a new way of Being through Peri-Menopause, Menopause & Beyond. Lets Be a part of the “Change” we want to see in this world!